In the aftermath of the Bill Cosby mistrial, many have been left wondering why the jury could not convict Cosby. After all, Cosby is alleged to have committed 60 sexual assaults on women. Having prosecuted sexual assault cases, despite what some have said was an easy case, nothing is farther away from the truth. No sexual assault case is ever easy to win. Sexual assault cases are some of the most difficult cases to obtain a conviction. And they are also some of the most heart wrenching cases. Due to the psychological issues which surround the victims, numerous issues abound such as inconsistent testimony, long waiting periods in which to bring charges, difficulty remembering and often forgetting details and a host of other issues. My sixteen year old self understands why a sexual assault victim would wait years before coming forward to tell people or to report a crime; my prosecutorial self knows the delays in those cases often make for acquittals or hung juries. The prosecution bears the high standard of proving its case beyond a reasonable doubt. And all of victim’s issues can boil down to reasonable doubts in the minds of some jurors. When campaigning to become Montgomery County District Attorney, Kevin Steele made it his mission to try Bill Cosby. It appeared as if the case against Cosby was brought on behalf of all of Cosby’s alleged victims and perhaps sexual assault victims everywhere. And therein lay the problem. This was a case about Andrea Constand—not 60 other victims. In a court of law, Cosby’s case was treated the same way as any other sexual assault case. 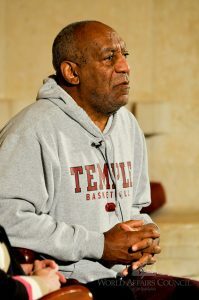 The dynamics of a sexual assault case did not change because Bill Cosby is viewed as a career sexual assault perpetrator, in the eyes of many people. The prosecutor sought to have thirteen alleged victims to testify to show a pattern and practice in Cosby’s case. The judge denied the request. That was the best shot for a conviction in this case. In the case of Jerry Sandusky, Penn State University’s prior athletic director, a judge allowed nine victims to testify. He was convicted. And in the case of Oklahoma police officer Daniel Holtzclaw, a judge allowed fifteen victims to testify. Holtzclaw was convicted. In Michael Jackson’s criminal trial, the judge allowed testimony from two victims of sexual molestation. Jackson was acquitted after a jury deliberated for 32 hours over 7 days. Nothing is a certainty in a sexual assault case even with multiple victims. There was no guarantee that Judge Steven O’Neill would allow thirteen victims to testify as the prosecution requested. It is within the discretion of the judge depending on the facts of each particular case. In Cosby’s case, Judge O’Neil held that it would be too prejudicial for thirteen alleged victims to testify. In a retrial, his opinion and rationale for excluding thirteen victims will likely be used by Mr. Cosby’s lawyers to avoid it from happening in a retrial. Montgomery County D.A. Steele ran a political campaign on bringing charges and a conviction against Cosby. In doing so, he raised false high hopes and false high expectations of sexual assault victims in the Cosby case and those across the country. He said following the trial that Andrea Constand deserves a verdict. He meant to say she deserves a conviction. To Constand and Cosby’s alleged victims, I say keep the faith. To Bill Cosby, I say –stop celebrating, it’s not over yet. To D.A. Kevin Steele, I say go and deliver on what you promised to all those women whose hopes you raised with false high hopes and high expectations.